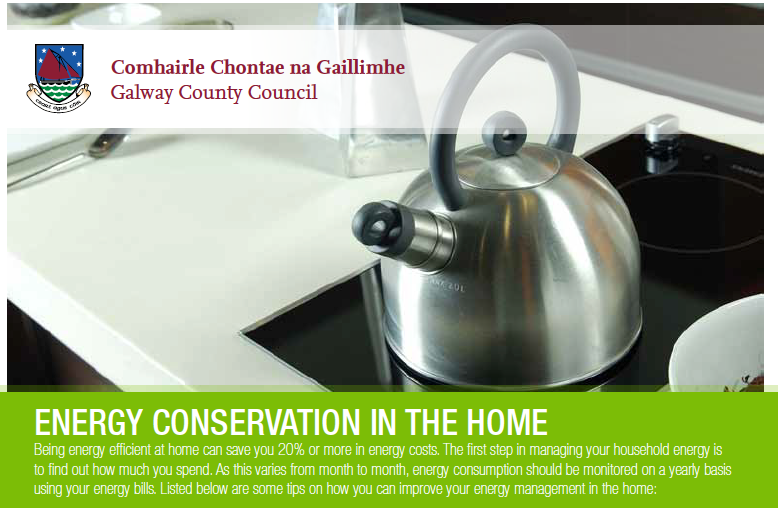 Galway County Council has produced this leaflet to promote energy conservation in the home. This leaflet gives advice on space heating, hot water, lighting, appliances and cooking. In English and Irish. 1 page, PDF, 178KB.